The AIDA model is a historical model in advertising. Applied to marketing and entrepreneurship, I find it very useful to quickly evaluate where your customer acquisition tactics stand and prioritize your marketing activities. It is an objective grid to put your marketing efforts into perspective, and better split your time and budget to maximize returns. The advantage of the AIDA model is that you can sort all your current marketing activities in each category to see if you’re covering all the bases, or if you need to put more efforts in some particular place. 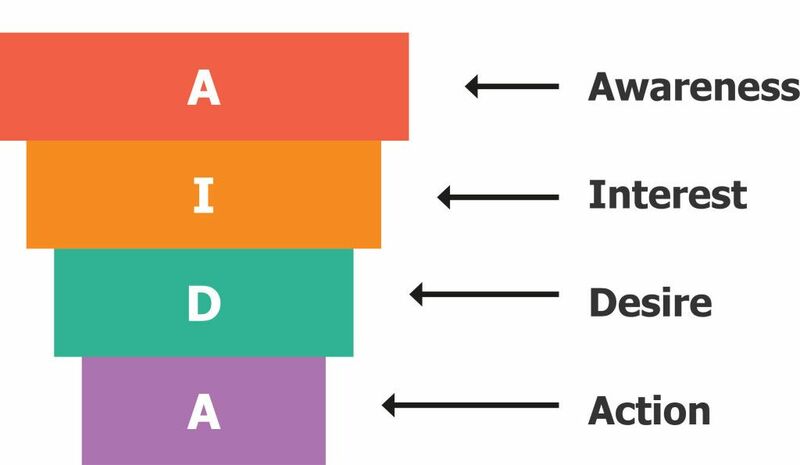 The AIDA model is somewhat a simplified version of a sales funnel: Your prospects have to go through each different steps in order to, eventually, become a customer. 1 – Awareness: Attract the attention of your prospects and make sure they “know you exist”. Awareness initiatives put you “on the map”. It is the first step in the AIDA model. Here are a few examples: Organizing or sponsoring local events, exhibiting or speaking at conferences, joining local industry organizations, or even publishing a share-worthy annual industry trends report. Below are two examples of awareness initiatives with Brightcove and Genentech. Awareness initiatives can prove expensive, but they don’t necessarily have to be. My former company, Clinovo, managed to be noticed in the San Francisco Bay Area in the clinical trial industry by organizing a quarterly event with speakers from leading companies. Remember, repetition and serialization foster awareness. One more time, repetition and serialization foster awareness. 2 – Interest: Raise customer interest by focusing on and demonstrating advantages and benefits. Interest is the second step following awareness in the AIDA model. Video introductions and short demonstrations are great tools to foster interest. It is likely one of the main reasons many companies are displaying “1-minute intro videos” on their homepages. In a context of information overload, we’re becoming very quick at deciding whether we’re interested or not in a product or service. Short online videos present the advantage of passing on essential informational in a compelling format. Press releases are informational and also a good way to trigger awareness and interest. Social media and blog posts also help make your company “interesting” and share-worthy. 3 – Desire: Convince customers that they want and desire the product or service and that it will satisfy their needs. Case studies and testimonials are excellent marketing tools to increase desire. Trust travels from your existing customers, whose satisfaction is proven in the case study, to your prospect. The idea for your prospect is to replicate this successful experience, thus fueling their desire. Videos that show customers using your product, service, or software, are a great way to increase its desirability. Apple is very good at this game. Their advertising almost let you use the product: They put it in your hands so you can mentally play with it during the length of the advertisement. 4 – Action: Lead customers towards taking action and/or purchasing. Limited-time offers, coupons, or promotions are ways to trigger action. On the web, bright colors for call to actions, clear steps, and succinct copy will drive prospects to take action. 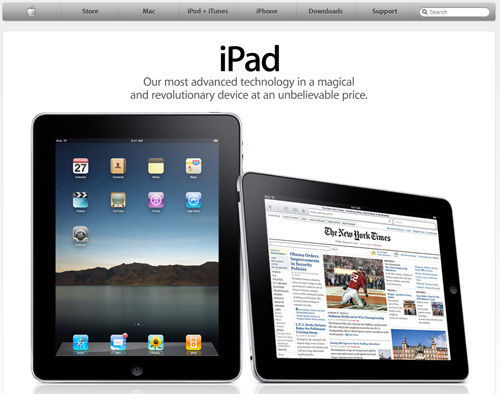 User Experience (UX) is somewhat the art and science of triggering action. Behavioral design uses psychological triggers, such as positive and negative reinforcements, to trigger action. As a closing note, I often consider another model called REAN because it includes the idea of nurturing (or delighting) your customer to repeat business. Reach – The set of activities needed to raise prospects’ attention for your brand, product or service. Engage – The gradual, typically multi-channel, often recursive set of activities needed to engage the prospects you just won. Activate – The activities needed for your prospects to take, eventually, the actions you wanted them to take. Nurture – The activities needed to nurture the customer relationship you just managed to create. I recommend to pick a simple model that fits your business and sales process, and come back to it from time to time to ask yourself where you need to put more emphasis. Hopefully, it will help you stay alert and brainstorm new marketing initiatives in the right direction.